Ok, You've bagged some nice turkeys in your neck of the woods and now the desire to pursue gobblers in other states has gotten the better of you. Perhaps you now begin your quest of a Turkey Grand Slam. It is now time to plan your attack. Some hunters attempt a Grand Slam in one year, while others allow more time, perhaps a lifetime. It does not matter. What is important is that you try to plan quality hunts that will provide memories to last a lifetime. 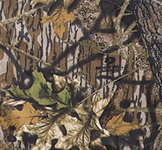 I personally use the services of a guide because I need to be sure that I am hunting in a productive area right away. These hunts usually take place during vacation time and I can't afford wasted days searching for birds. 3. Is hunt fully guided or semi? 5. How is license obtained? 6. Exactly which license are required? 7. What are gerneral weather conditions? 10. What is the hunter success ratio? 1. How were the accomodations? 2. How many turkeys did you see per day? 3. How did the birds react to calling? 4. Were the guides instrumental in your success? 6. Get a description of the land terrain.